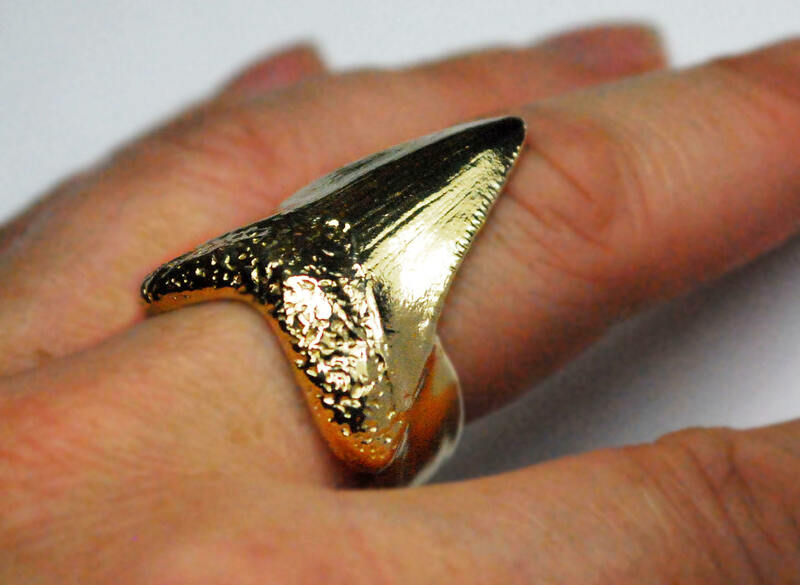 A great big badass sterling silver Megalodon shark tooth ring. 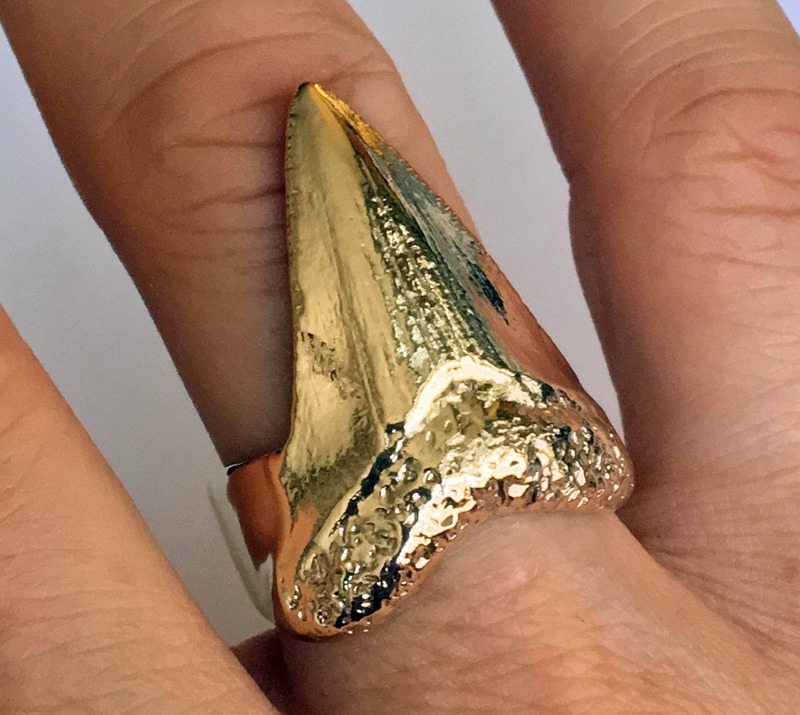 Fashioned from a cast of a prehistoric shark's tooth and polished to a warm glow. 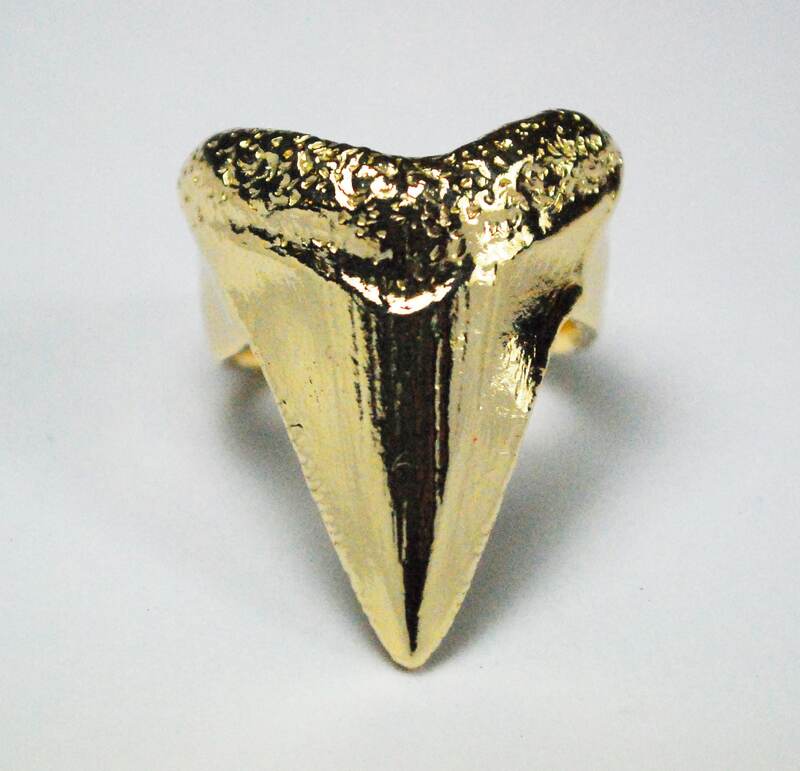 I love this tooth ring a lot. 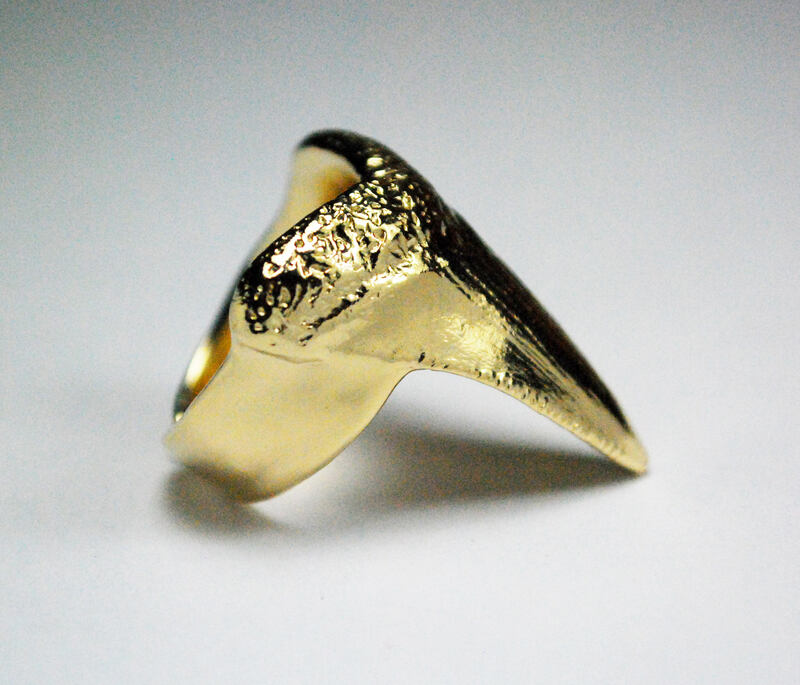 I usually tend toward daintier rings for daily wear, but I find it extremely comfortable and wear it all the time. 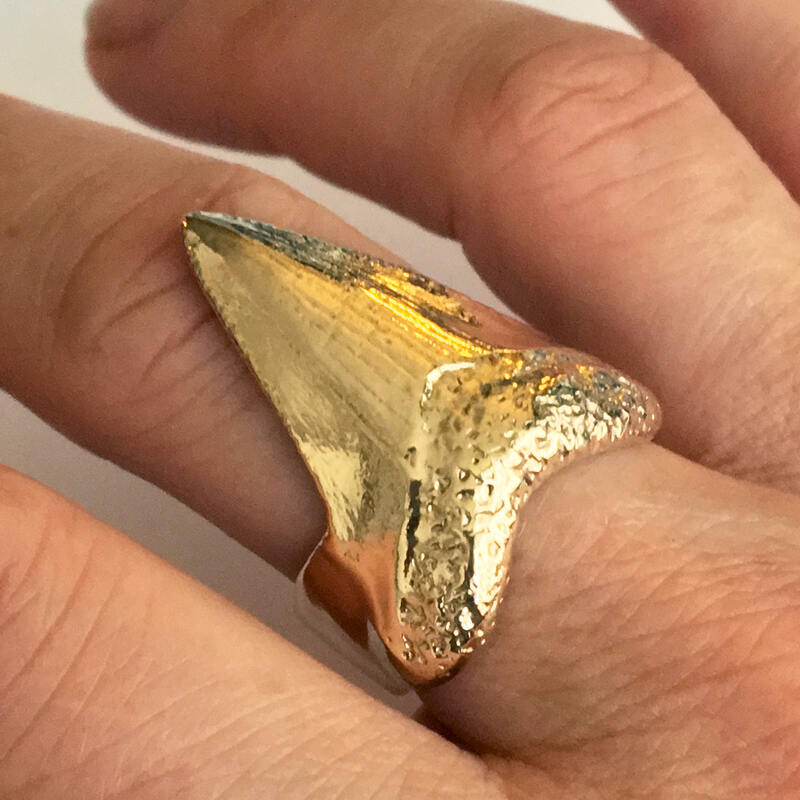 I suggest ordering this in a size that will be snug. 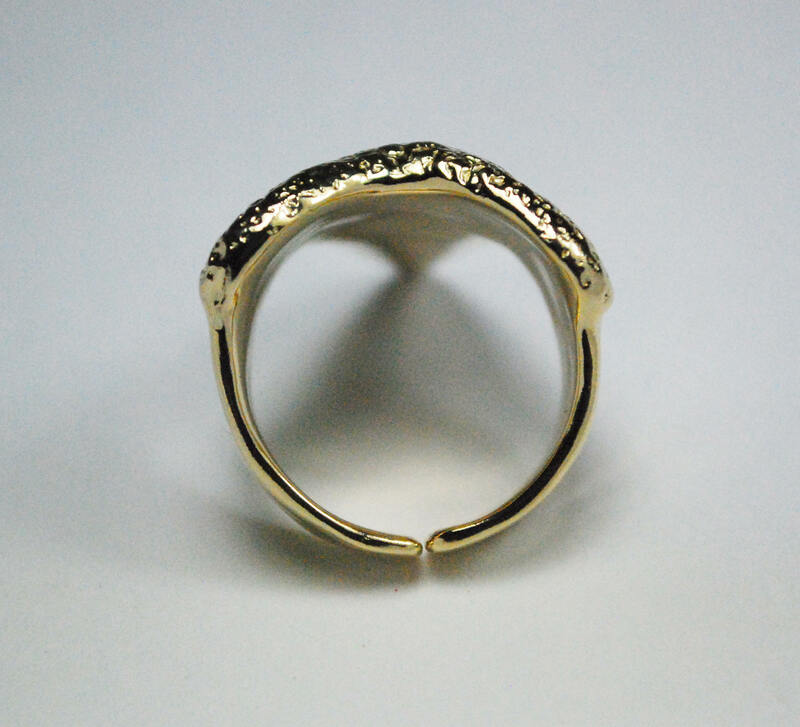 It is a heavy ring so you don't want it to slip around or off. 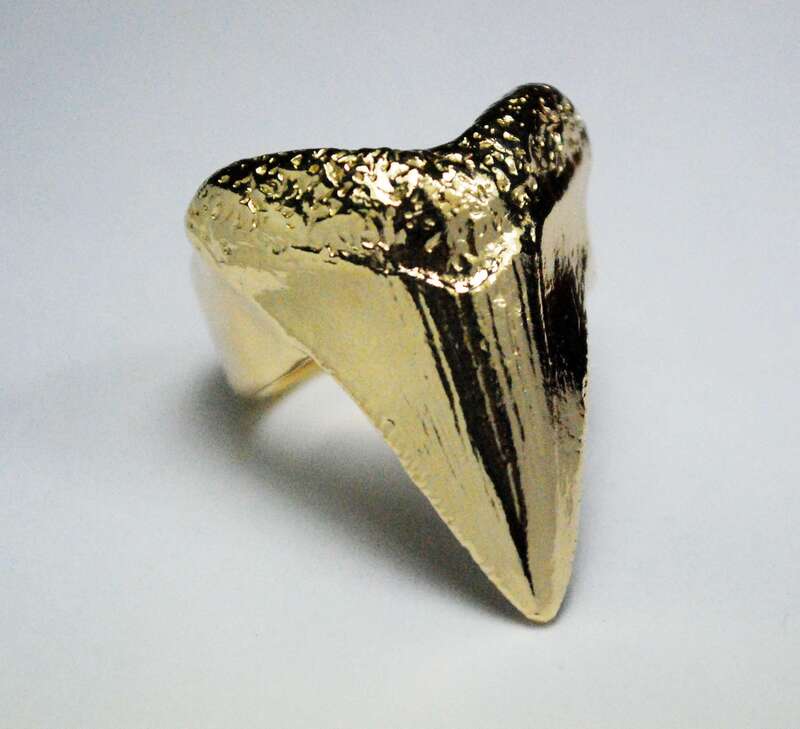 If you need a customized smaller or larger size or would like this cast in a different gold color or karat please contact me.